P&O Cruises has released its 2017 World Cruise Collection which includes two full world circumnavigation cruises marking the cruise line’s 180th anniversary. Aurora‘s world cruise will echo the trade routes of the British Empire during a 104-night eastern circumnavigation that will depart Southampton on 9 January 2017. The 30,000 nautical mile voyage will call at 35 destinations spanning 21 countries. Compared with Aurora‘s 2016 world cruise this voyage will include 23 new ports of call. There will be four overnight stays in Dubai, Singapore, Sydney and San Francisco and seven evening calls. The cruise will also include calls into some of the world’s most iconic destinations including sailing under the Golden Gate Bridge into San Francisco, sailing into Sydney Harbour and “City of Sails”, Auckland and transiting both the Panama and Suez canals. Meanwhile Arcadia will sail on a 114-night full world western circumnavigation ‘Polynesian and Asian Adventure’ itinerary. This 36,000 nautical mile cruise will depart Southampton on 2 January 2017 and will call at 22 new ports of call compared with its 2016 world cruise. The voyage will see the ship call at 37 destinations in 21 countries and will feature five overnight stays in San Francisco, Auckland, Sydney, Hong Kong and Singapore and nine evening calls. It too will sail under the Golden Gate Bridge into San Francisco, sailing into Sydney Harbour and transit both the Panama and Suez canals. Prices for the world cruises start from £10,299 per person based on two sharing an Inside cabin aboard Aurora on the Select Price offer. In addition to the world cruises Oriana will be sailing a 50-night Caribbean and Amazon Adventure voyage, departing Southampton on 3 January 2017. Calling at 13 countries in the Caribbean, the USA and South America, the ship will sail over 14,000 nautical miles which will include 1,500 nautical miles on the Amazon. Prices start from £3,999 per person based on two sharing an Inside cabin on the Select Price offer. Oriana will also offer two 12-night Northern Lights cruises sailing from Southampton and calling at Andalsnes, Tromso, Alta (overnight) and Stavanger as well as cruising in Romsdalsfjord. Prices start from £899 per person based on two sharing an Inside cabin on the Select Price offer. 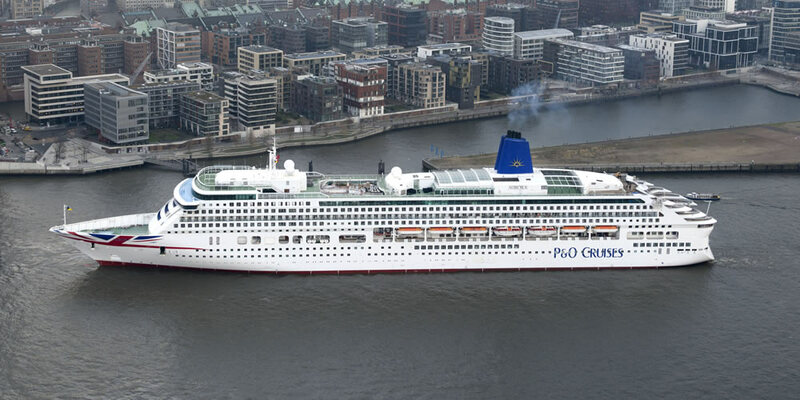 The P&O Cruises 2017 World Cruise Collection will go on sale for top tier Peninsular Club members on Tuesday 8 September 2015 and then go on general sale from 8am on Wednesday 9 September 2015.